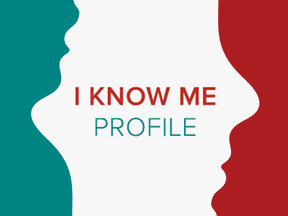 The I Know Me is a psychological assessment that enables a person to gain deeper self awareness into his/her own personality traits, patterns and coping mechanisms. It consists of a questionnaire and/or interview, plus a feedback session with an accredited IKM analyst. We recommend the IKM for those leaders and facilitators who have taken a CoResolve course and are interested in increasing their personal awareness while integrating the skills. You can purchase the IKM alongside one-on-one and personal coaching in our Special Coaching Package. An IKM is required for those going into Advanced Deep Democracy courses. Purchase through Myrna Lewis’s site.